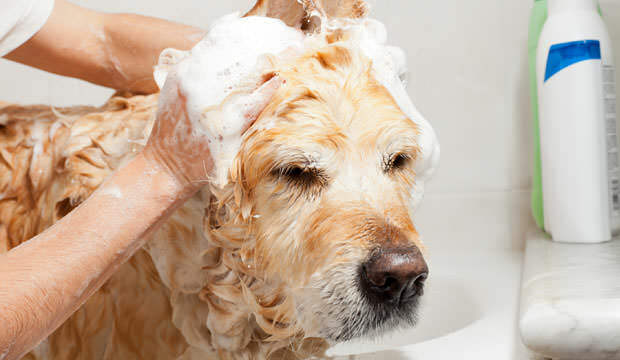 Making your own homemade dog shampoo takes only a few minutes, requires the ingredients every household has and can save you loads of money while keeping your pooch clean and smelling fresh. Dish detergents and vinegar are both extremely useful since they have excellent cleaning and deodorizing properties. These liquid soaps are normally used for washing dishes, however what majority of people don’t know is that they can serve a variety of other purposes. Dish Detergents are specially designed to be able to cut through kitchen grease, and this ability makes them excellent when it comes to washing away accumulated oils on your dog’s skin and coat. And that’s not even the best part. Lavender-scented dish detergent will repel fleas. If your precious little ball of fur becomes infested with these annoying little creatures, you can make a swift intervention using this dish soap. White vinegar is an excellent addition to your homemade dog shampoo since it has antibacterial, as well as deodorant properties. 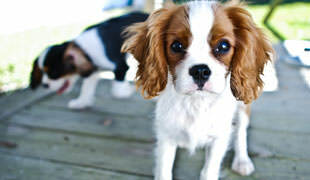 Along with the dish detergent, vinegar will also contribute to your pet’s coat looking shiny and healthy. However, while white vinegar is quite a helpful ingredient in your dog shampoo, make sure it does not end up in your pooch’s eyes, since it is mildly acidic and will burn his puppy eyes. In a large spray bottle, combine 2 cups of warm water with 1/2 cup of white vinegar. Add in 1/4 cup of dish detergent. Gently shake the mixture until bubbles form, then allow the bubbles to recede. 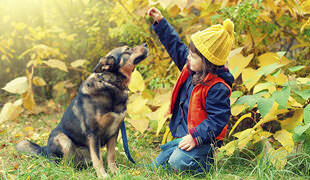 Wet your dog’s coat with warm water and then spray your dog with the homemade shampoo mixture all over his body and use your fingers to create a thick lather. Work the shampoo gently into his skin in order to clean it thoroughly. 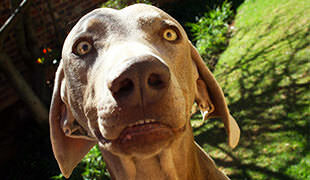 Once again, make sure not to get the shampoo mixture into your dog’s eyes. Let him dry off and he’ll be as good as new. Blue Dawn works great on the dog and on you without the vinegar. Not good for cats for some reason. NEVER use dish detergent on dogs. It will decrease the oil levels on their skin, causing dry skin as well as overproduction to counteract the deficiency, which may eventually lead to seborrhea. I have lavender babywash, & lavender bodywash. Can I add a few drops of pure Eucalyptus oil to my body wash & will it clean enough & kill fleas too? LOL your funny OMG I am trying to keep my laughter inside! XD! Jk but that was funny! Hello everybody! Just used out the water vinegar dish washer thing for my dog, scared to see the results. I haven’t washed him YET though but In a couple mins I will! Anyone try that before? What happened? Tell me pls! i did a little looking around on the internet and tried this on my dog, but it hurt her a lot. she started whining loudly and backing away until i rinsed it all off. i’m not sure if it’s for a specific reason or if she’s sensitive, but a heads-up to anyone who might use this in the future that it’s possible your dog will react similarly. please be careful !